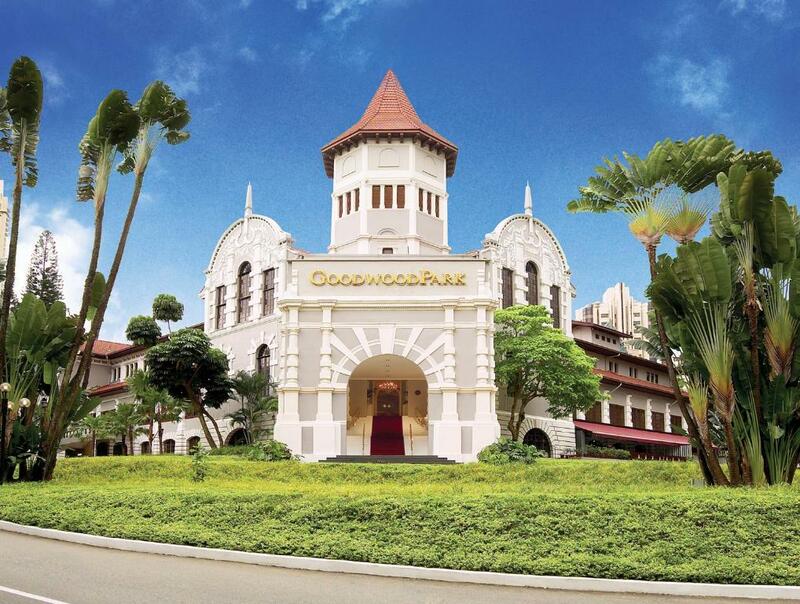 Lock in a great price for Goodwood Park Hotel – rated 8.7 by recent guests! Room size and location is good for family. Walking distance to shopping malls. The staffs were great! Frm the counter staff to room service staff to the phone operator. The room was so huge and comfortable. The hotel took the effort to prepare a delicious cake for my hubby bday. Our room was also upgraded. Appreciate it. Great staff at a classic hotel loved the atmosphere and the pool. Breakfast was good and Location of property was great. Cleanliness and friendliness of stuff. Rooms are very spacious and bright. Warm smile and a bit of help thats all you need when you are going to a new place and this place had both of this. They welcome us with a big bright smile and helped us to know the surroundings. Bed was super comfy .Kitchen equipment was great if you like to cook. Very spacious place. We love the Handy devices that were in the rooms. This made it easy to navigate the city and for ideas on what to do in the city. The rooms were really spacious for our tribe of 5. Room is more spacious than I expected and clean. When we arrived early in the morning they checked in and we could take a rest. very thank you!!!!! locate is also good!!!! I had very great time! Spacious clean croom, comfortable bed and pillows. Convenient location to malls in Orchard Road. 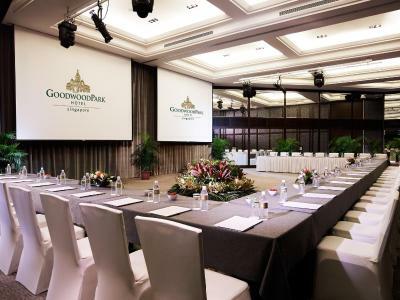 Goodwood Park Hotel This rating is a reflection of how the property compares to the industry standard when it comes to price, facilities and services available. It's based on a self-evaluation by the property. Use this rating to help choose your stay! 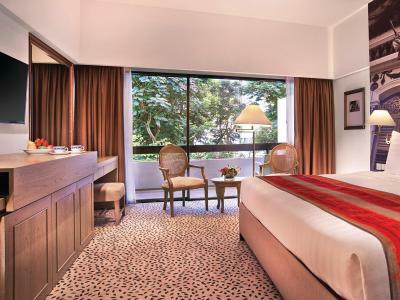 Exuding a quiet charm, Goodwood Park Hotel in Orchard Road district features 2 pools and a spa. 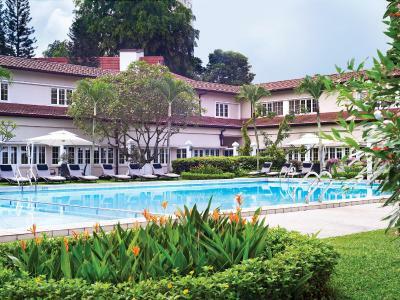 This historic hotel features 6 dining options and free private parking for guests. 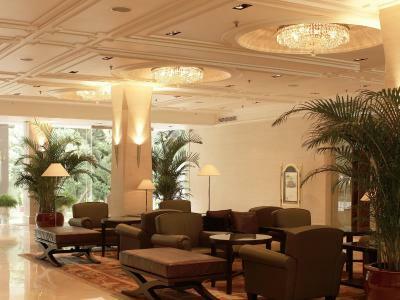 Free Wi-Fi is available throughout the hotel and in all guestrooms. 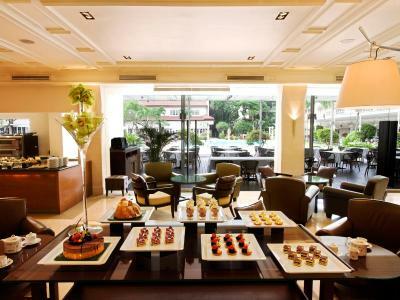 Hotel Goodwood Park is steps away from Far East Plaza Shopping Center and a 7-minute walk from Orchard MRT Station. Numerous nightlife options at Clarke and Boat Quay are a 15-minute taxi ride away. Rooms at Goodwood feature pool or garden views, with some providing direct pool access. Cable TV channels are available. 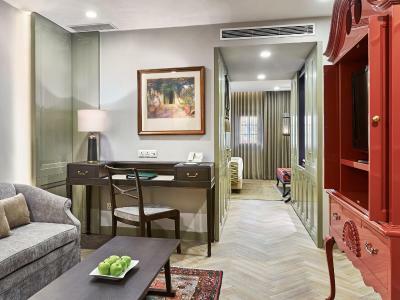 Rooms include complimentary use of a smartphone equipped with unlimited 4G data connectivity as well as calls to local and selected international countries. 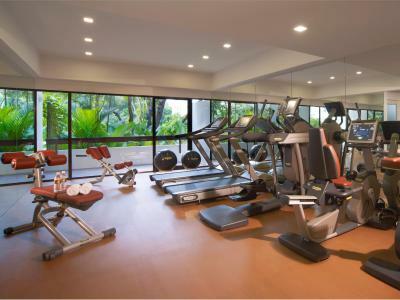 Guests are welcome to work out at the fitness center or get a pampering treatment at the hair salon. A tailor shop is located in the hotel. Car rental services are available. 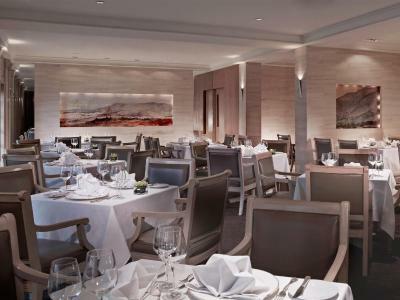 The Coffee Lounge offers a variety of western and local a la carte dishes. 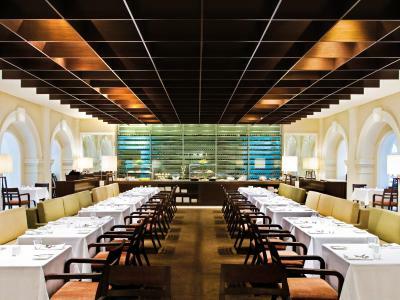 Guests can also enjoy European specialties at Gordon Grill or sample Sichuan food at Min Jiang. 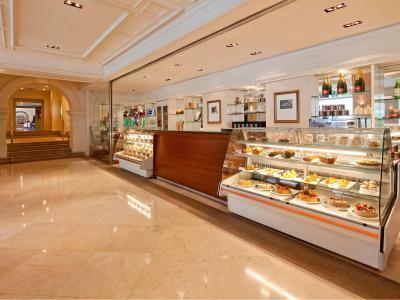 L'Espresso is popular for its afternoon tea, while Deli serves a variety of cakes. 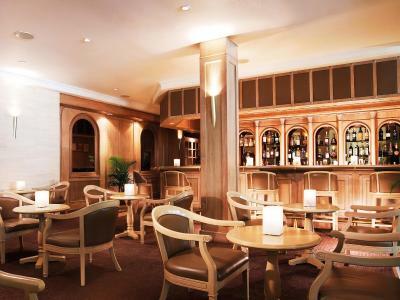 Highland Bar provides the ideal location for unwinding over drinks. 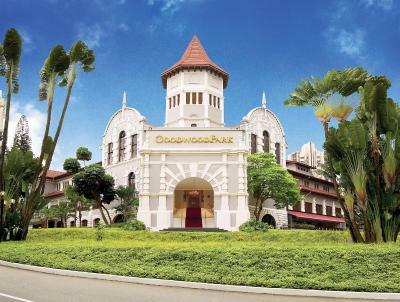 When would you like to stay at Goodwood Park Hotel? Decorated in warm colors, this modern air-conditioned room features cable/satellite TV, personal safe and mini-bar. 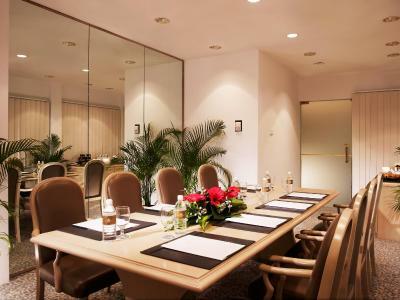 Please note that this room category allows a maximum of 3 guests. Please refer to the relevant rate for 3 guests. Extra beds come in the form of a roll-away bed or sofa bed. Luxurious suite features a separate living room. Please note that the rate is for 2 guests. Maximum number of guests allowed is 3. 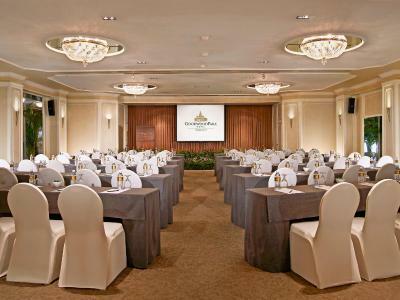 Should there be a 3rd guest, there will be an additional fee and must be paid directly to the hotel. Contemporary suite features direct pool access. It includes a separate living room. This apartment-style studio is housed in a separate building, just a 3-minute walk from the main hotel. It includes a separate living room, kitchenette and spacious balcony with one bedroom on the upper level. Decorated in warm colors, this air-conditioned room is in the Main Wing. Includes a cable/satellite TV, personal safe and mini-bar. 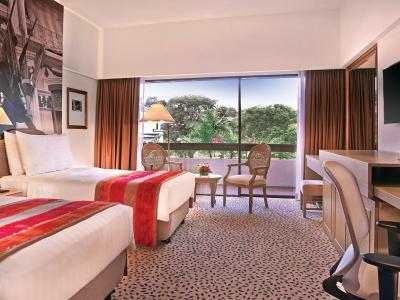 Offering a balcony with garden or pool views, air-conditioned rooms feature modern and warm-colored decor. Rooms include a cable/satellite TV, personal safe and mini-bar. 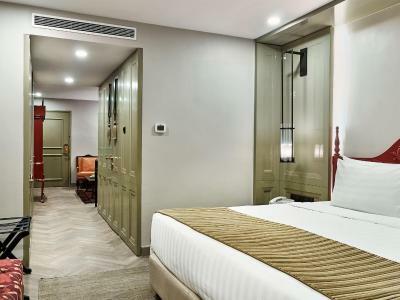 Consisting of 2 interconnecting rooms, this modern air-conditioned room is decorated in warm colors and features cable/satellite TV, personal safe and mini-bar. 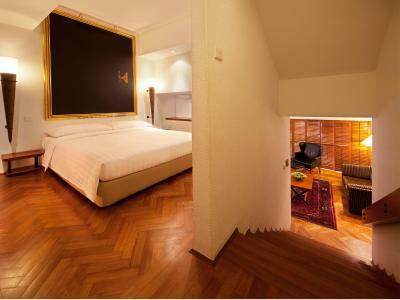 Located in the Tower Wing - the heritage part of the hotel, these rooms have a modern and neo-classical style. Rooms include a sitting area. Please note that this room type is for 2 adults only. House Rules Goodwood Park Hotel takes special requests – add in the next step! 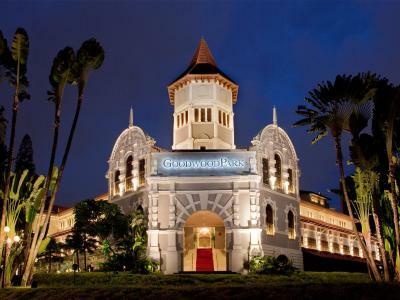 Goodwood Park Hotel accepts these cards and reserves the right to temporarily hold an amount prior to arrival. One child under 11 years of age stays for free when using existing beds. Children above 11 years will be subject to additional charges per night for extra beds. The big disappointment started when we arrived at the Hotel. I stayed there several years ago. Therefore I wanted to stay there again this time for our layover bach to Europe. Whilst our booking confirmation from booking.com stated that we have booked a room at the Goodwood Park Hotel, the receptionist showed us the reservation from booking.com which was done for one of their serviced apartments in another building and not for the hotel. This for sure has a different ambiente and quality. 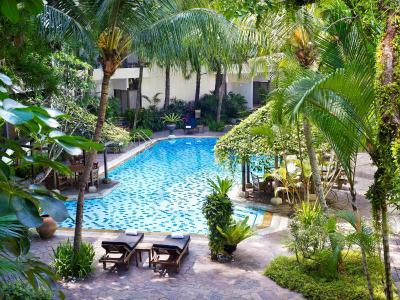 Furthermore when I was searching for a Hotel in Singapore I put in the filter that I want only an accomodation which includes breakfast. The receptionist told us, that there is no breakfast included, but we can buy breakfast for 30$ p.p. plus service charge and tax. This upset us very much. A very bad experience using booking.com. From now on I will be very reluctant using booking.com in the future again. In addition, the aircon did not work properly, therefore we also had no good sleep that night. The pillow menu was a bonus, the staff very friendly and the pool area very relaxing, which was a great relief after sightseeing all day. Beautiful character hotel where the staff genuinely care about your stay. During check-in there was only 2 staff at the counter. No proper sign of check in or check out. Guest scatter around the counters to check in. Prolly you can get staff to guide the guest at the counters. lobby was a bit dated, and not much privacy in the pool due to the outdoor weddings/etc. everything else! the room was very clean, comfortable. we stayed in a room overlooking the pool. staff were incredibly helpful! The front desk staff was not very friendly, the hotel is not 5 star at all, maybe in name only. The hotel is a little outdated and needs and upgrade, carpet had stains, wood was cracked and dis colored. I asked front desk to have a taxi prepared to take me and my family to airport and was told ok but when the time came no taxi and we had to grab another one that barely accommodated all 4 passengers and luggage. Very stressful. We also felt cheated because when I inquired about transportation to and from hotel I was told a taxi would cost about 70 dollars and that the hotel could provide a limo service for about 80 but to my surprise a taxi only cost about 21 dollars. Food selection could be a little better especially if you are staying with children. The location was nice, room was clean and the concierge staff was wonderful. Nothing. I liked everything except we didnt get to stay here long enough! As always I loved the goodwood. Our room was really comfortable and spacious and had a feeling of luxury. The location is great and our room was quiet. Service in the restaurant very slow, not improved since my last October visit. Staff is however very polite but cannot apparently help the bad kitchen organization! Also hotel in need of renovation! The pillows and mattresses are very hard. A pillow menu would be wonderful. I was one of few people in the lobby for hours on Wednesday however staff were inattentive to clearing plates after morning tea. We took the parklane suite split level. It was humongous. It ecceeded my expectations. Good place to host about 20 people for a small gatherings. Balcony is big and bathroom is clean too. Dont forget to buy their signature durian puff / crepes when ure there. Overall pleasant stay. The restaurants were not well explained and we didn’t discover how good the Coffee Lounge restaurant was until just before we were leaving! Two great swimming pools and excellent location with easy access to the metro. Bathroom was a little bit old. neiborhood, kind stuff and atomospher of the hotel.